Tres Leches ("three milks") Cake is thought to have originated in Central America, probably Nicaragua, in the late 1800s. It remains very popular there and in Mexico, Cuba, Puerto Rico, and Guatemala. And at my house. It is simply a sponge cake that has been soaked in a luscious mixture of three milks: evaporated milk, sweetened condensed milk, and cream. 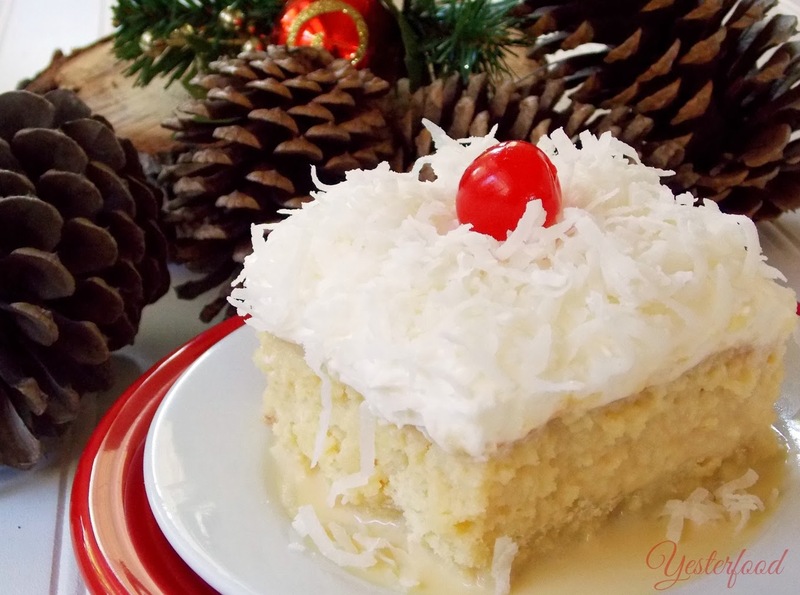 In some cultures, Tres Leches is a popular special occasion cake, such as for Christmas and birthdays. It's a fun cake to serve- people are usually fascinated with the idea of soaking a cake in something, and then they fall in love with the rich, cool, creamy taste. Never mushy, always perfectly moist, this is a wonderful cake to have in your baking repertoire. 1. Beat egg yolks, butter, and sugar at medium speed with an electric mixer 2 minutes or until mixture is creamy. 2. Combine flour, baking powder, and salt. Add to egg yolk mixture alternately with milk, beginning and ending with flour mixture. Beat at low speed just until blended after each addition. Stir in vanilla. 3. Beat egg whites until stiff; fold gently into batter. Pour batter into a greased and floured 13- x 9-inch pan. 4. Bake at 350° for 25 minutes or until a wooden pick inserted in center comes out clean. Let cool for 10 minutes. Leave the cake in the pan. 5. Pierce cake (all over, each hole about 1" apart) with a small wooden skewer. Stir together condensed milk, evaporated milk, and half and half; gradually pour and spread over warm cake. (Pour about 1/4 cup at a time, spreading well into the holes, allowing mixture to soak into cake before pouring more.) Cover and chill overnight. 6. Beat heavy cream and confectioner's sugar until stiff peaks form. Spread topping evenly over cake. Sprinkle with coconut and garnish with cherries, if desired. Keeps well for several days, covered in the refrigerator. Cook's notes: It seems like a lot of liquid to pour over the cake, but just keep pouring. I have seen some recipes that recommend that you use only part of the liquid, and to discard the rest. Please don't do that. The cake really does soak it all up, and you want that little pool of creamy sauce to appear around the cake when you plate it. Tres Leches Cake may have been taken to some of these fun parties! Gorgeous cake…not to mention loving all that soaking! What a luscious cake!! You are going to fatten me up with all these yummy recipes to try! I have heard of this cake but never tried it or even known what it really was. Going on the list of things to try. Thanks Joy! Grandma Kc, it's a fun and delicious cake. Amara would enjoy poking the holes and pouring the sauce on top! :) Thank you for coming by! YUM! Joy, this is one of my favorite desserts! Thank you for sharing the recipe (although I'm treading on dangerous ground here). Ha,ha! Have a great evening. I had Tres Leches cake for the first time about a year ago & my mouth still waters when I think about it! This is such a fantastic delicious looking cake!! I am definitely going to have to make this cake very soon! :-) I found your blog through The Great Blog Train! You can check out my blog, Meg’s Menagerie, at http://megmeg77.wordpress.com/ Have a great week!!! I have never had the pleasure of eating tres leches. Even though I'm a chocolate gal, I suspect I would love this rich, creamy cake. Love the pool of liquid on the plate and wouldn't dream of "cutting back!" Michelle, if there's one thing that might lure me away from chocolate, it would be this cake. ;) Thank you for coming by, and for hosting "my" Sunday party, lol! Stacy, thank you very much. If you try this, I hope you love it as much as we do! :) Thank you for coming by and leaving your sweet comment! Thank you, Theresa! We really love it- it's my dad's favorite birthday cake. 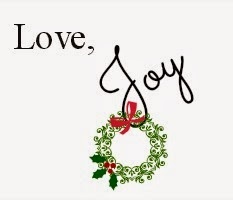 :) Happy Holidays to you, too! Looks yummy, Joy. Here in Costa Rica people love tres leches too. I've never seen a sponge recipe with butter in it, but anything with butter can't be bad, right?! 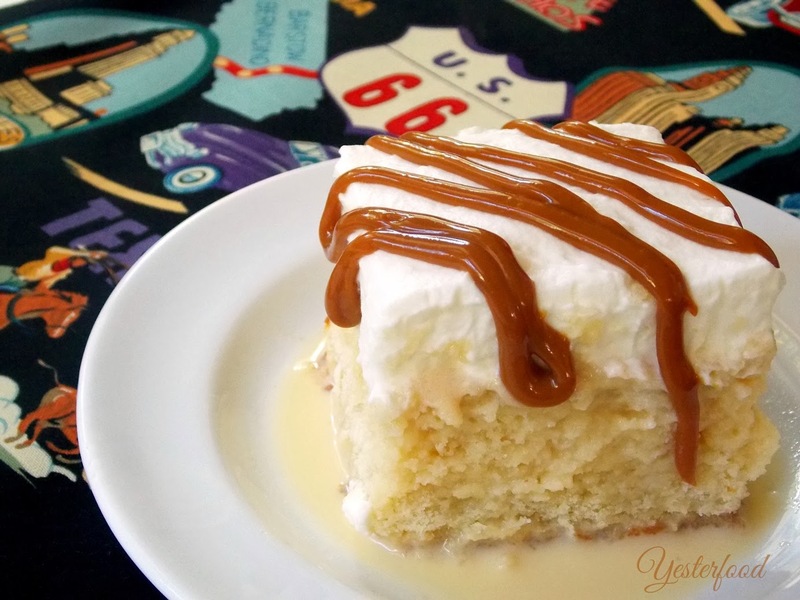 I love to call mine cuatro leches and drizzle dulce de leche on the top, just like you have pictured. Adding cinnamon to the milk mixture is another change-up I like to do too. It's such a forgiving recipe and always scarfed down in no time. This sounds so yummy! I will have to try it! Thanks for sharing to Snickerdoodle Sunday. It's pretty yummy! ;) If you try it, I hope you enjoy it. :) I always enjoy Snickerdoodle Sunday- thanks! Stopping by from Great Idea Thursday part and this looks awesome! Oh, thank you, mothers shadow! And thanks so much for coming by from Great Ideas Thursday. I appreciate your visit and comment! 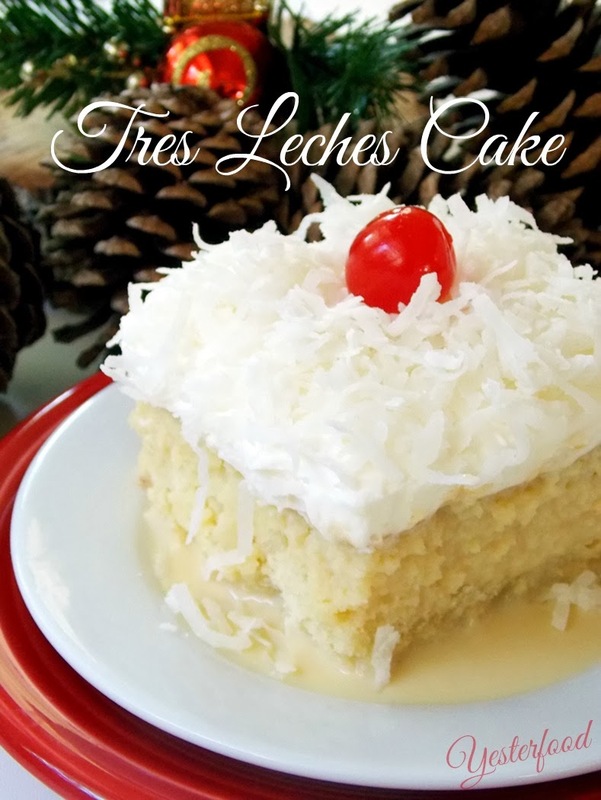 I've always wanted to try a Tres Leches ever since seeing it in a Mexican Bakery in the Twin Cities. I think maybe this can be our treat for New Years! Thanks for the inspiration, Joy! Oh my word..what a moist and rich looking cake. My husband would go crazy for this cake. He loves coconut cake..the moister the better..
Oh My! That looks tasty. Thanks, Robin! It's certainly a favorite of mine! :) Thank you for coming by! Bette, I'm so glad you've had a Tres Leches Cake- it's kind of hard to describe how good it is. :) Thank you for hosting the Most Fabulous "Jol"! I have never tried this kind of cake but it looks so tempting I will have to now! Pinning! Thanks for sharing on The Four Seasons Blog Hop! Sandra from Scrumptilicious 4 You! lo bonito es este!! Look at you, girlfriend!! Tres leches cake!! I love this!! pinning!! G'day One word Joy? YUM! Thanks for sharing! Your photos always brighten my day! Joy, What a lovely recipe for Christmas! I've never tried a Tres Leches cake, but you'd better believe that I will be after reading this and learning how to make it. What a fun recipe for the holidays, and I hope that you and yours have a lovely Christmas! I LOVE tres leches cakes! Have had them at parties for years!! Also, love how rich everything looks in your photos, may I ask what camera you use to capture them? Thanks - visiting from SITS. Ana, thank you for your sweet comment- I'm glad you are a Tres Leches Cake fan! :) You are so nice to compliment my photos- I have lots to learn, but I'm working on it. I use a Canon Rebel t3i. I've heard a lot about Tres Leches. This looks delicious! Thanks for linking to the In and Out of the Kitchen Link Party. Hope to see you next time. This cake looks soooo good and your photo presentation is so lovely - just sweet and simple! The cake looks like Santa's beard with his jolly red nose plopped right on top! Cathy, this may be pretty much the moistest cake ever. :) Thank you for coming by, and for hosting SNF! I am here, drooling on my keyboard from SNF! Gotta make this cake! Can't wait to try this. I love Tres Leches Cake! YUM! Thanks for sharing the recipe with SYC. Have a very wonderful Christmas! 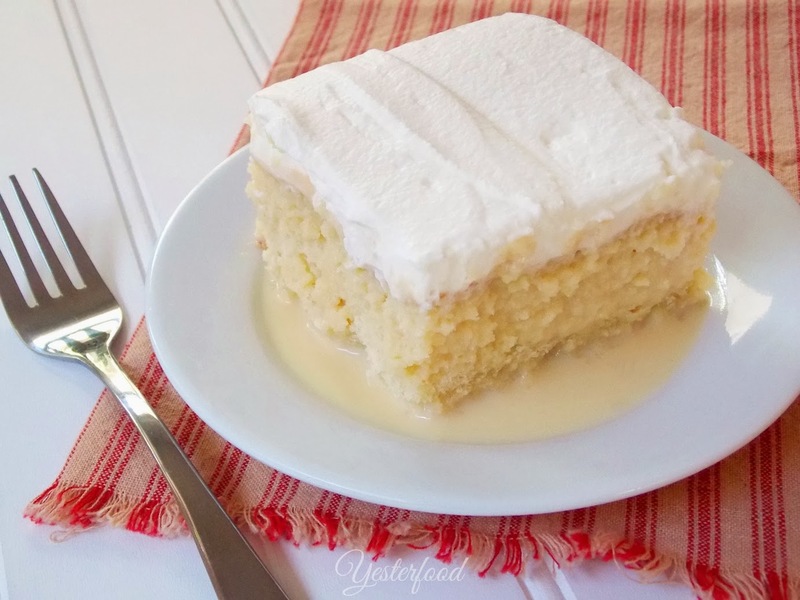 Tres Leches Cake is one of our favorites, your recipe looks delicious and thanks so much for sharing with Full Plate Thursday. Wishing you and your family a very Merry Christmas! Krista, I knew I loved you- the caramel drizzle really does take it over the top! :) Thank you for coming by, and Happy New Year! oooh, I tried a recipe for Tres Leches Cupcakes, which I love, but your recipe is a little different and I love the idea of a whole cake! I am dying to give it a try:) If you get a second this weekend, I would be excited if you stopped my to share this at my linky party, Get Schooled Saturday! Hi, Kim! Thank you for coming by- I love Get Schooled Saturday, and have linked up! :) Hope you have a great week! This is one of my favorite cakes! Pinned! Coming from Strut Your Stuff! This looks and sounds so yummy! I pinned it! Thanks for sharing on Saturday Dishes Cakes & party ideas. Beautiful cake Joy! You did an excellent job here! Tres Leches Cake is one of those Mexican Classics that our family just loves! Thanks so much for joining our Foods of The World Tour to Mexico, hope you will join in France next month. YUM! Love Tres Leches...very popular in Miami. I love tres leches - YUM!!!!! It's my kids' preferred birthday cake! I never chilled over night before, but I have noticed it's always better the next day, so I probably need to start doing that! A dear friend of mine had a tres leche's cake made for my birthday a couple of years ago...haven't had any since and am now sooooo craving it! I am definitely going to make this soon! My sister and I just made this cake. We have it chilling in the fridge rigjt now. I don't think we're gonna be able to let it soak overnight, it's too tempting! We'll give in another hour or so, then it's whipped cream time! Thanks so much for the recipe, I really love tres leche.